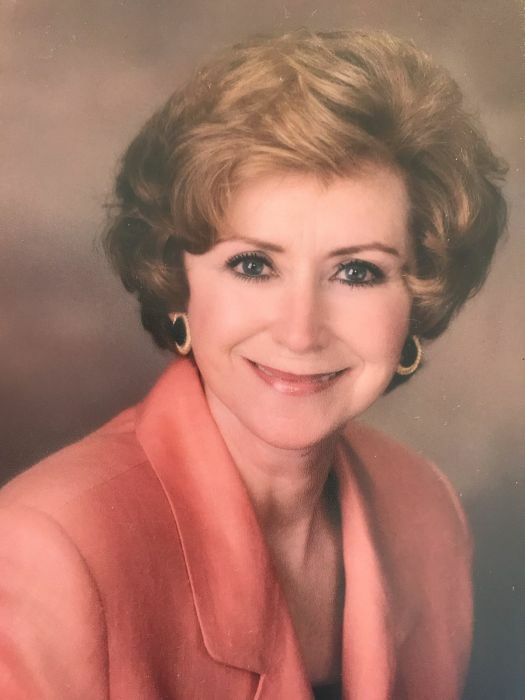 Merriel Belle Blackwell Kunz, our beloved Mother and “Nanny,” passed away peacefully at her home, with family by her side on Wednesday, November 21, 2018. Merriel was born August 24, 1942 in Steele Missouri. Born second to J.W. Blackwell and Mona Rose Griffin. She had four siblings V.L Blackwell (deceased), Mona Rivera, John W. Blackwell, Roberta E. Coulter (deceased), and Vicki Fulgenzi. Merriel was united in marriage to James Albert Kunz on June 7, 1960 and later sealed in the LDS Temple. She is survived by their three daughters, Deborah Marque Kunz who married York Edward Powell, Johnna Elise Kunz who married David Allen Dahl, and Brittany Kunz who married Christopher Hernandez. Merriel was preceded in death by her true love, James (Jimmy), on August 22, 1980. Merriel spent the rest of her life as a single mother and dedicated her life to her children and grandchildren. Nanny had ten grandchildren, one of which she helped raise. She also had twenty great-grandchildren and played a huge role in all of their lives. Merriel was an auditor at the Utah State Capitol and later moved on to be a Commercial Loan Officer. She was one of the most successful women in her area as a banker. Merriel’s favorite places were Dana Point Harbor in California, where she lived with her youngest in 1986. Mountain Green, Utah where she lived for several years, it was her grandchildren’s second home. Merriel loved the mountains, camping at Ferron, gardening, sleepovers with the grandkids, reading the paper with coffee, and holidays. Nanny always made Birthdays, Thanksgiving, and Christmas extra special and memorable for her family. Nanny will always be remembered for reading our Astrological Charts, and she was extremely good at it. Everyone in the family would always go to her to read their chart whenever they found love, started a new job, struggled with a decision, or just needed guidance about who they were and how they fit into this life. Merriel was the matriarch of our family. The family would like to thank the administration and staff at Hidden Valley Assisted living. Thank you for the love and kindness you showed our Nanny during her visits to your community. You embraced her as your own and always supported our family with patience and guidance. To Dr. Gary Holland, Jackie Blakely, Thomas, Darbie, David, and all the staff at ComfortWorx Hospice; we are eternally grateful for the compassion and respect she received. You treated our Nanny like family. The warm presence and loving care your team provided will never be forgotten.